Queensland State flag , 150x90cm, from The Aussie Flag Factory are made of durable lightweight polyester. Ideal for indoor or outdoor use. 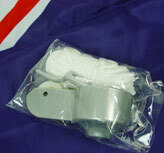 These flags come with brass eyelets for attaching to your flag pole. Hang it on your wall, wear it, or fly it - show your Aussie pride. 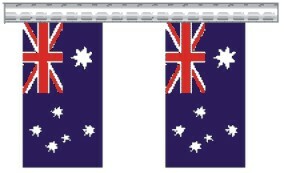 Perfect for Australia Day or sporting events! Desk Flag, Australian flag 14x21cm, made of polyester. Ideal for the office, Reception, or for conferences. Comes complete with gold stand. 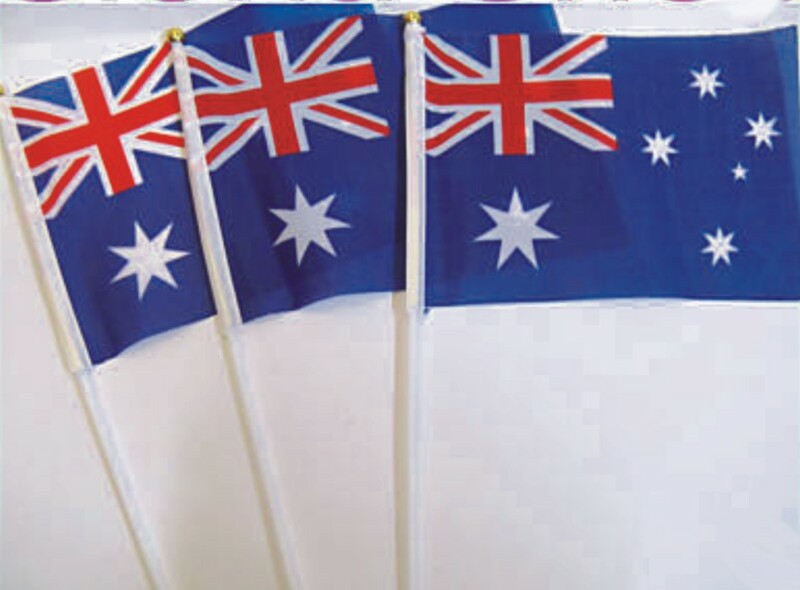 Great little Aussie hand waver flag. Perfect for Australia Day, sporting events or just fun for the kids. The size of each flag is 20cm x 15cm. The length of post is 30cm. Flags are made of fabric and the post is plastic.